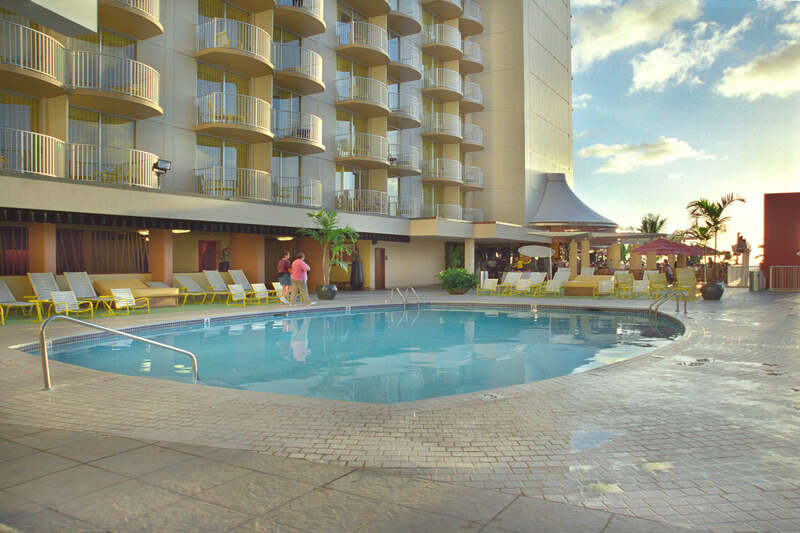 Unparalleled views of the iconic Waikīkī Beach. 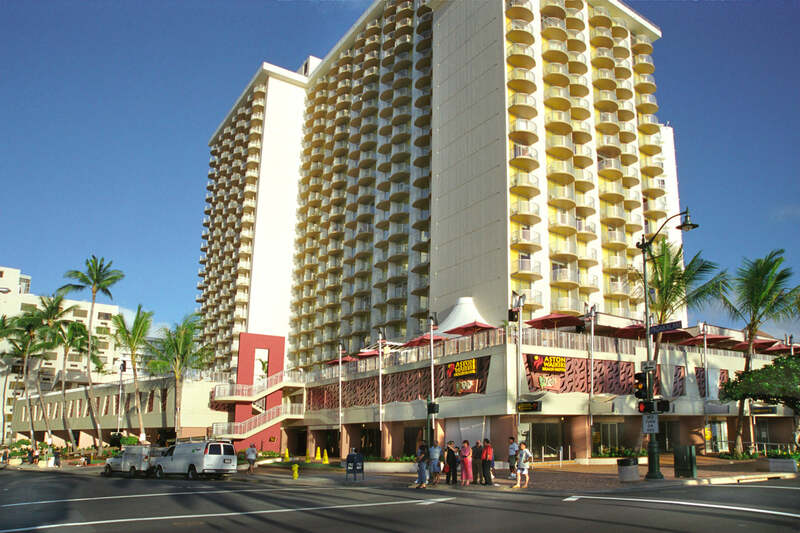 The renovation of this hotel capitalized on the strong relationship the hotel has to Waikīkī’s world-famous beach. The redesign of the upper deck level maximized the spectacular ocean views. Through architectural and interior renovations, the design brings the beach into the hotel in every way possible . 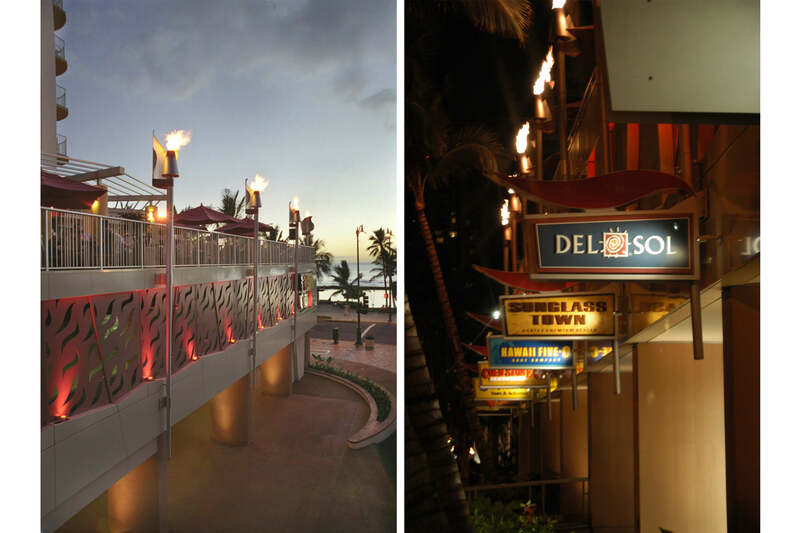 The primary move in the renovation called for removal of approximately 1,000 square feet of building footprint affecting three levels at the southwest corner of the property and introducing a new grand staircase from the street to the third level pool deck and restaurant. This allows hotel guests easy access to the beach and invites patrons to the new third-level restaurant and bar. Renovation included improvements to the porte cochere, lobby, front desk, and guest rooms. 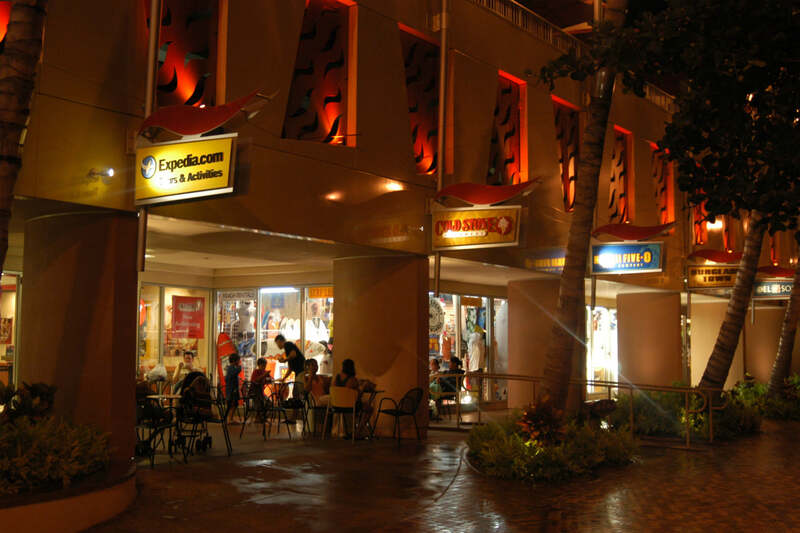 All storefronts along the Kalakaua Avenue frontage were upgraded and converted to retail tenants. Renovations to the parking facade allow adequate ventilation and improved aesthetics.